In America, almost half of the population doesn’t floss on a daily basis. It is not news that many people don’t pay enough attention to their dental health. You should brush your teeth twice daily and floss at least once per day. Though you might find flossing to be a tedious job, you should integrate it in your oral care regimen since it is one of the best ways to avoid those trips to the dentist and prevent diseases. Brushing and flossing your teeth will help you reduce the number of bacteria that inhabit your mouth. These bacteria emit acid that will eat away your tooth enamel, leaving you with cavities. They will also produce sulfur compounds that bring about bad breath. As you continue to eat and drink, your teeth will accumulate debris and mucus that is also known as plaque. Brushing regularly will remove the plaque and bacteria as well. However, the unfortunate thing is that people think that brushing only is enough. The truth is flossing will help you maintain better oral hygiene. Failing to floss will leave the plaque between the teeth and eventually collects at the gum line. The result is a hardened substance known as tartar, and unlike plaque that you can easily remove, you will have to seek the dentist’s services to have tartar taken out. This is the reason your dentist will always recommend that you floss your teeth to help dislodge any food particles to prevent plaque from building up where your toothbrush cannot reach. What Happens When You Don’t Floss? Gum Disease; one thing people don’t know is that your gums are not supposed to bleed when you brush or floss them. If you notice any bleeding while brushing, it is a sign of gum disease. The milder form of gum disease is gingivitis, which makes your gums red, swollen, and prone to bleeding. This happens due to the accumulated plaque between the teeth and gums. If this condition is left unattended, it heightens the immune response, destroying bones and tissues in your mouth. This creates pockets in between your teeth that result in infections. At the advanced level, you get periodontitis, which is a chronic gum disease. This is why you should be more vigilant about oral health. If you have a case of bad breath that doesn’t seem to go away, it could be caused by lack of flossing. This condition is referred to as halitosis. 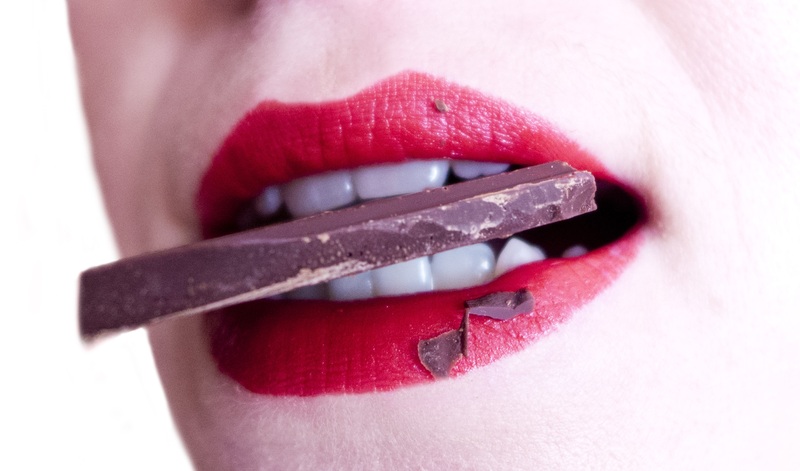 It usually results when bacteria that thrive on the tongue and throat surface produce sulfur. These bacteria tend to break down proteins at a high rate, releasing smelly volatile compounds from the back of your throat and tongue. Halitosis can affect a person’s self-esteem in a bad way. It is very prudent to control mouth bacteria during pregnancy. This is because they can be absorbed into your bloodstream and that of the baby, leading to infants born with low birth weight. Such babies are more prone to complications like asthma, birth deformities, ear infections, and many other problems. Gum diseases tend to make gums to start pulling away from the teeth. This leaves pockets where bacteria can occupy and thrive, weakening the tooth structure. The result is premature tooth loss. When you fail to floss properly, dangerous bacteria build up, producing toxins that can lead to gum inflammation and irritation. These bacteria destroy the gums and bone structures that support the teeth. The result is tooth and bone loss. There is a close link between poor oral health and dementia, though it is also possible that people with better dental care also have better health choices and habits. Probably, those who don’t brush daily are more prone to dementia than their counterparts who brush three times a day. Alzheimer’s patients have also been found with more gum related bacteria in their brain. This is a clear indication that poor dental health can lead to cognitive issues. For a long time, diabetes has been a result of periodontitis. The presence of extremely poor dental health has the risk of insulin resistance and diabetes. This could be because it causes inflammation. Managing diabetes and improving your oral health should go hand in hand. Often, when you have pathogens in your mouth, you tend to inhale them into your lungs where they can do a lot of damage. Some of the problems that can arise are pneumonia, which has generally been associated with poor oral health. Combining brushing with flossing can help you reduce your chances of contracting pneumonia. People with periodontitis are more prone to pneumonia than those who observe a strict dental hygiene. If you have periodontitis, the plaque that forms beneath the gum line can become the breeding ground for helicobacter pylori. This is the bacterium responsible for stomach ulcers when it becomes inflamed. This bacterium can be transmitted through the mouth, and it also carries the risk of stomach cancer. The bacterial pockets that form when you have periodontitis come with a risk of different bacterial growths and infections. The harmful bacteria that build up in the mouth lead to tooth decay. When you allow plaque to continue building up, the acid it releases start to break down enamel and succeeds in penetrating the tooth, leading to cavities that damage its soft part right in the middle. Cavities not only need filling but also distort the tooth structure. Once you get multiple fillings, your teeth continue to get weaker, which leads to many dentist visits. If you don’t treat tooth decay, it could lead to further complications like dental abscesses. This can all be avoided by just dedicating two minutes each day to flossing. If you want to have pearly whites, there is a need to start flossing and maintaining the habit. When you remove the buildup between your teeth, it will be possible to smile better, and your teeth will be cleaner and whiter. This not only improves your appearance but also boosts your confidence. To maintain a beautiful smile, you need to floss regularly. Failing to floss has a negative impact on your oral health general well-being. So, start on it today! This article was written by Dr. Marissa C. Cruz, DMD. Dr. Cruz is a renowned dental specialist and periodontist in King of Prussia, PA. She stays on top of the latest developments in dentistry as a Diplomat of the American Board of Periodontology. Oh it means teeth health is too much important, now I got to know how important it is to take care of your teeth and brush 3 times a day. Thanks for pointing out the dental floss problem, as people doesn’t take the tooth flossing seriously and suffer from the dental problems. Useful tips. Sharing right now. I’ll admit, traditional string floss is a pain to use. But, with the flosser pick thing-a-ma-bobs, difficulty of use can’t be an excuse for not flossing! It’s soooo quick and easy! 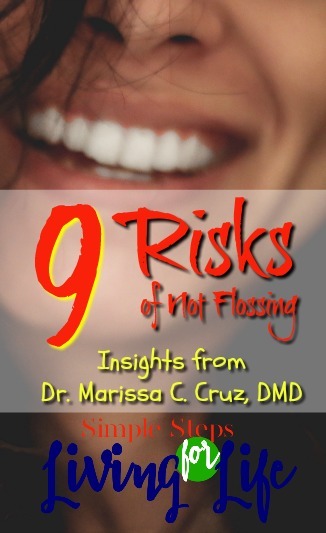 LOL Great article explaining the many reasons flossing is beneficial to oral health. Jesse recently posted…Is Gingivitis Genetic? We should floss at least once a day to improve our oral health including overall health. Thanks for the sharing this post. Impressive article, Thanks for the sharing this post. I recommend that people use a waterpik as as substitute to dental floss as it is more effective.